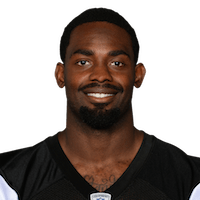 The Jaguars declined Benn's (knee) $790,000 team option for 2018 on Tuesday, making the wide receiver an unrestricted free agent March 14, Mike Kaye of FirstCoastNews.com reports. Analysis: Benn had spent parts of the past three seasons with the Jaguars as a depth wideout and special-teams contributor, appearing in 24 games and notching six receptions for 128 yards and a touchdown. Though Benn could have been retained at an affordable price for the upcoming season, his poor track record on the health front likely had the Jaguars eager to look elsewhere to fill out their wideout ranks. 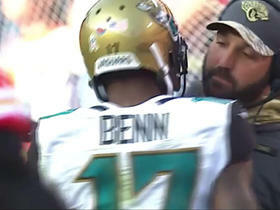 The Jaguars placed Benn (knee) on injured reserve Saturday, Ryan O'Halloran of The Florida Times-Union reports. Analysis: Benn was placed on IR in order to make room for a few returning players. He failed to record a catch after hauling in one reception for 12-yards in the Jaguars' Week 1 victory over the Texans. His season will now come to a close unless he and the team come to terms on an injury settlement. Benn (knee) was ruled out for Sunday's game against the Browns after failing to practice Friday, Ryan O'Halloran of The Florida TImes-Union reports. Benn (knee) didn't participate in Thursday's practice. Benn (knee) was limited at Wednesday's practice, Nate Ulrich of the Akron Beacon Journal reports. Analysis: Per Ryan O'Halloran of The Florida Times-Union, Benn said he expects to be fine for Week 11 in Cleveland. He suffered the injury during Sunday's 20-17 win over the Chargers, and fellow wideout Allen Hurns (ankle) suffered a more serious ailment later in the contest. Benn still figures to see most of his work on special teams, as the impending debut of Dede Westbrook (abdomen) should partially help to offset the loss of Hurns. Benn hurt his knee Sunday against the Chargers and is questionable to return, John Oehser of the Jaguars' official site reports. Analysis: Benn has only been targeted twice this season, but since Dede Westbrook remains on injured reserve, Benn is still considered a No. 4 wideout. He has been very limited on offense this season, so fantasy owners likely won't feel his absence. 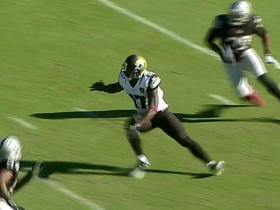 Jacksonville Jaguars wide receiver Arrelious Benn puts his team in the lead with a 51-yard touchdown. Its the Illinois product's first NFL score since 2011. Jacksonville Jaguars QB Blake Bortles finds wide receiver Arrelious Benn for a 16-yard gain. 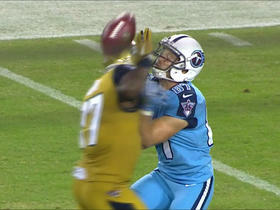 The Jacksonville Jaguars are called for fair catch interference, the punt hits the Jaguars defender on the head. 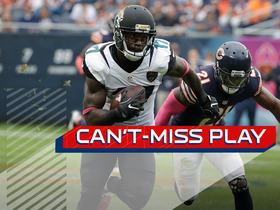 Jacksonville Jaguars quarterback Blake Bortles finds Arrelious Benn for a 39-yard gain. 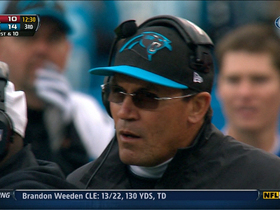 The Carolina Panthers turn the ball over on downs following an unsuccessful fake punt. 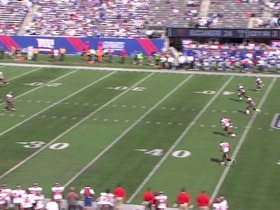 L.Tynes kicks 67 yards from NYG 35 to TB -2. A.Benn pushed ob at NYG 47 for 55 yards (J.Hosley). 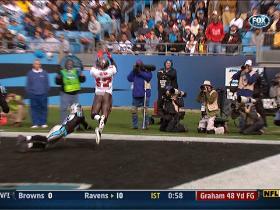 Buccaneers WR Arrelious Benn makes a toe-tapping 4-yard touchdown catch against the Panthers. 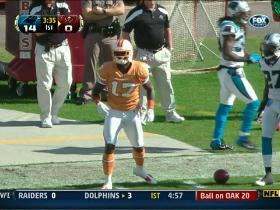 Buccaneers QB Josh Johnson finds WR Arrelious Benn open deep for a 38-yard catch. 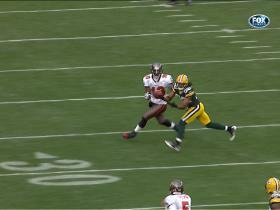 Tramon Williams picks off a Josh Freeman pass, stretching Green Bay's streak of consecutive games with an interception to nine. 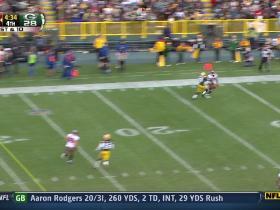 (4:38) (No Huddle, Shotgun) J.Freeman pass deep left to A.Benn to GB 2 for 37 yards (S.Shields). Penalty on GB-S.Shields, Illegal Contact, declined.